Due to the aesthetic quality this cultivar is highly sought after. Description: Globular in shape, predominantly a green/grey colour with purplish longitudinal and transverse striping, creating an almost plaid effect. There are eight distinct, broad, vertical ribs that are slightly raised with shallow furrows in between. On top of the ribs are minute axillary shoots in a continuous series on each node of the stem . 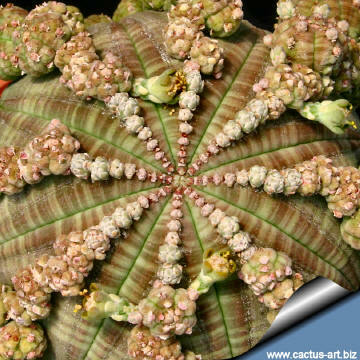 Scientific name: Euphorbia obesa Hook. f.
Common Names include: Basketball, Sea Urchin, Baseball, Living Baseball, Gingham, Golf ball. Cultivation: Like a sunny position but can also be grown out of where frost is not too severe , it can tolerate temperatures down -5°C . It does best in a mineral soil, but is tolerant of a wide range of soil types. Good drainage is essential. Water sparingly during the summer months and keep dry in winter. It is a slow growing long lived plant and once established, it will be content in its position and with its soil for years. 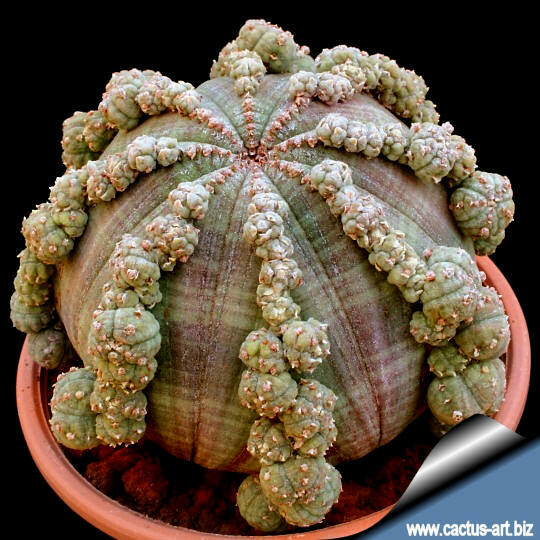 It can tolerate moderate shade, and a plant that has been growing in shade should be slowly hardened off before placing it in full sun as the plant will be severely scorched if moved too suddenly from shade into sun. Propagation: It is propagated from by cuttings or grafting. 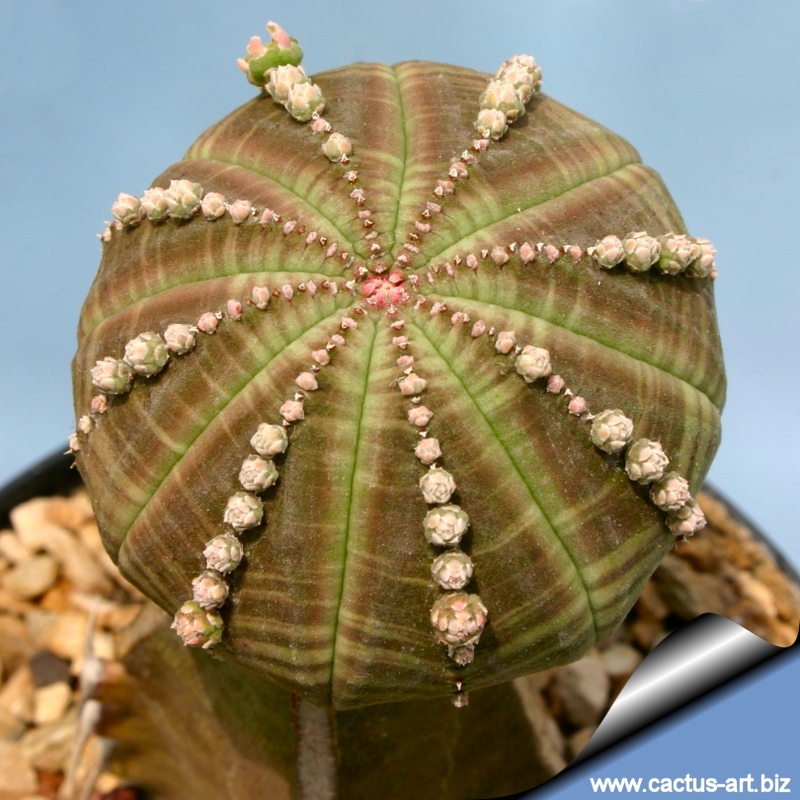 Note: As with all other Euphorbias, when a plant get damaged it exudes a thick white milky sap known as latex. This latex is poisonous and may irritate skin. Photo of conspecific taxa, varieties, forms and cultivars of Euphorbia obesa.